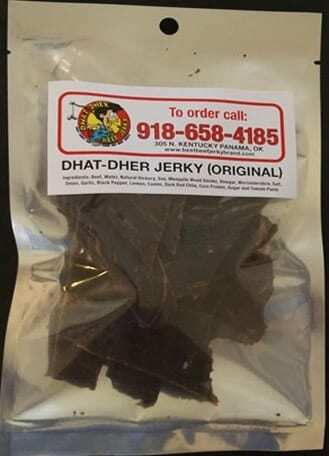 2 oz bag of the best beef jerky you will ever eat. 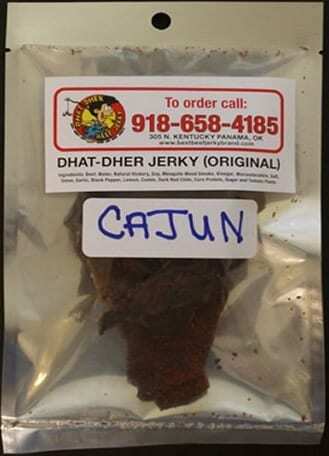 Awesome Flavors: Original, Cajun, Spicy Hot, Extra Hot, Teriyaki, and Black Pepper. 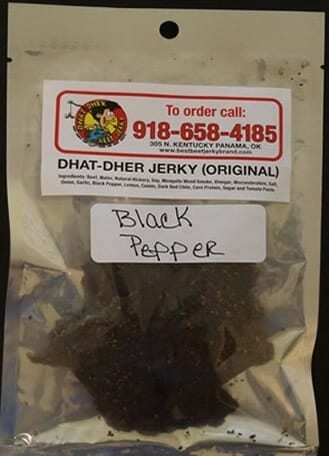 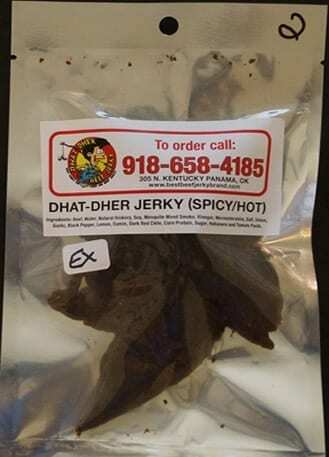 Try some of Dhat Dher Beef Jerky today!